The market for health care technology abounds with a plethora of startups striving to develop the next big thing that improves quality of care in the most cost-efficient manner possible. As one global startup accelerator takes its network to the next level, such technologies may soon hit the market for senior living organizations in the very near future. But that means bringing together companies from various disciplines like Health Care REIT (NYSE: HCN), Brookdale Senior Living (NYSE: BKD), and other leading providers across the care continuum to further accelerate the growth of these small companies in the senior care sector. 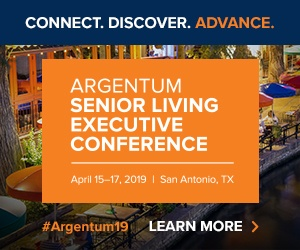 As part of a new initiative recently launched, 20 carefully selected startups will receive expert insight, mentorship and pilot opportunities from some of the biggest names in senior living. At the helm of it all is Aging2.0, an organization that assists startups focused on aging and long-term care by providing various resources to accelerate the development and distribution of their products. It accomplishes this by linking fledgling tech companies to its global network of investors, entrepreneurs, senior living service providers, consumer groups and other industry stakeholders. The company announced Wednesday the launch of its new corporate partners program, the Aging2.0 Leaders Circle, which brings together 12 organizations across the continuum of care, including senior housing, skilled nursing and post-acute care, home health care, hospice, medical supply, private equity and one of the Big Three real estate investment trusts (REITs). Despite their different focuses, an appetite for innovation and the need to bring more solutions to the forefront of the industry is a common thread among each of the partners, says Katy Fike, co-founder of Aging2.0. Representing the senior housing side of the Leaders Circle are Brookdale Senior Living, along with Life Care Services and Silverado, a company that provides memory care services as well as home health and hospice. But they’re not alone. Others in 12-member council include Genesis Healthcare/Genesis Rehabilitation Services; Home Instead Senior Care; El Camino Hospital/Pathways Home Health & Hospice; Direct Supply; Medline and TridentUSA Health Services, which provides bedside diagnostics, laboratory services and hospice care to more than 12,000 post-acute care facilities across 43 states. Mainly CEOs and chief innovation officers of these companies are the point people in contact with Aging2.0, said Fike, who added that membership in the Circle requires a commitment to the accelerator’s various ventures, though Aging2.0 had declined to comment on the amount. Completing the list of corporate partners are long-time investors in the senior housing and health care sectors, Health Care REIT and Formation Capital, a $5.5 billion private equity firm that is the driving force behind Aging2.0’s Generator Ventures capital fund. A partnership that became official in May, the launch of Generator Ventures created an early-stage seed fund that targets startups who leverage technology in efforts to develop cost-effective, quality solutions for the aging and long-term care market. Startups under Aging2.0’s wing reap the benefits of the fund, which began with a principal investment of a $1 million seed commitment on behalf of Formation Capital. This includes the carefully selected companies chosen to participate in the Aging2.0 Academy, just one of the several programs the accelerator offers in its mission to propel companies into the marketplace. Aging2.0 selects 20 startups to participate in its Academy. Unlike its debut, this year the program will be tightly integrated into with the Leaders Circle. Over the course of the program, Academy companies will receive market insight, mentorship from the Leaders Circle partners, as well as opportunities to present their products to consumer focus groups, which comprise seniors, family caregivers and senior living residents. Companies chosen for the program focus on providing solutions to challenges in aging and long-term care such as family caregiving, cognitive impairment, end of life, fall prevention, care coordination, loss of independence and the need for new, lower cost care delivery models. The formation of the second class of Aging2.0 Academy follows a string of new developments from the accelerator in the past week. The inaugural year of the Academy featured several companies whose services have adopted by senior living providers, including Lift Hero, a transportation ride-share service similar to that of Uber and Lyft, is currently being piloted at a Brookdale community in California. Lively, a reimagined take on personal emergency response systems, found its way into the plans of a California-based affordable senior housing developer. Another recent development for the incubator is a partnership with AgeTech West, a regional startup accelerator also focused on senior care technology. Beginning January 2015, Aging2.0 will absorb AgeTech West’s program to form what it will call the Aging2.0 Alliance, yet another program focused on accelerating startup development within the long-term care sector. Those plans followed not even a week after Aging2.0 announced a partnership with Google’s accelerator network, Google for Entrepreneurs, an initiative that will enable Aging2.0 to further its global reach.